Any pet owner who has been told their animal has cancer knows the two emotions: anxiety for the beloved pet’s life, and hope for an effective treatment. Take, for instance, cancer, which accounts for almost half of the deaths of pets over 10 years of age. Although pets of any age can have cancer, the longer they live, the greater the likelihood of developing it. Dogs get cancer at roughly the same rate as humans. 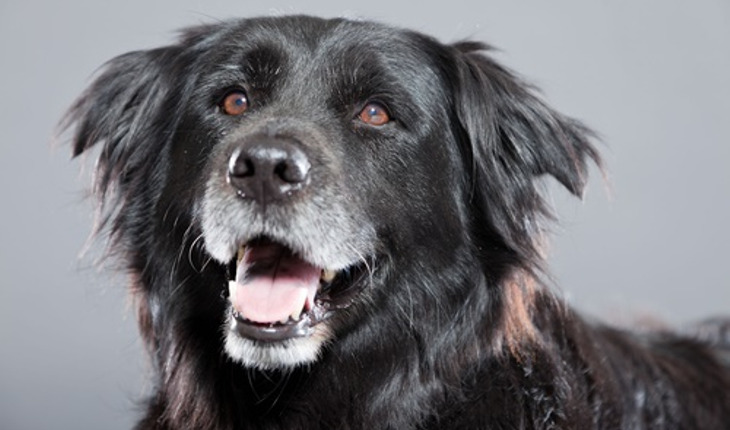 “Pets are living longer because of preventative health care. And we’re able to diagnose cancers earlier. As a result, there is an increased need for better cancer treatments,” Troutman notes. Until very recently, the only drugs available to treat cancer in animals were those approved for use in humans. But in the last few years, veterinary drug sponsors (the pharmaceutical companies developing the drugs) have brought to market treatments meant specifically for animals. To evaluate the safety of any new veterinary drug, companies typically conduct a study in a small number of healthy animals in the same species that the drug is intended for (for example, if the drug is for dogs, it will be tried first in healthy dogs). The findings help the veterinarian anticipate potential side effects when the drug is used to treat a patient and help minimize adverse events that might affect the pet’s quality of life. Companies also must show in controlled studies that the drug works—that it is effective when used according to the label. For example, for a drug intended for a particular kind of cancer, companies typically run a clinical trial at multiple animal hospitals where pets are being treated for that cancer. In these studies, the patients may receive either the drug being studied or a control. Although the owners and veterinarians are aware that their pets and patients could receive either the experimental drug or the control — a placebo — they don’t know which treatment they actually get. In either case, owners have the option to drop out of a study at any time. When the goal is to treat a form of cancer that affects smaller numbers of animals, drug companies can use a pathway called conditional approval to bring drug treatments to market more quickly. Conditional approval allows a company to make its drug available to patients after proving the drug fully meets the FDA standard for safety, and showing that there is a reasonable expectation that the treatment is effective. “Often small exploratory studies are conducted to support a reasonable expectation of effectiveness,” Troutman says. Conditional approvals have both pros and cons. On the plus side, they allow sponsors to provide patients quicker access to innovative treatments without waiting for the development of evidence of effectiveness that would satisfy the requirement for a full approval. “On the other hand, because the studies used to support a reasonable expectation of effectiveness are small, the drugs may not turn out to be effective when they are used in greater numbers of animals,” Troutman says. FDA may allow, through annual renewals, the conditionally-approved products to stay on the market for up to five years while the company collects the required effectiveness data to support a new animal drug application for full approval. Conditional approval automatically expires at the end of five years and the drug is removed from the market if the company has not fully demonstrated that the drug is effective. Troutman says that sponsors are continuing to develop innovative treatments for different types of cancer in dogs. “We’re looking at therapies that are more targeted now,” she says. Scientists are identifying proteins or other substances unique to cancer cells and developing treatments that target those substances without harming healthy cells. Paccal Vet-CA1 (paclitaxel for injection), for the treatment of mammary carcinoma and squamous cell carcinoma, was conditionally approved in 2014. To date, there are no FDA-approved treatments for cancer in cats. Most cancer treatments for dogs and cats use drugs that FDA has approved for use in humans. The warning signs of cancer in dogs are similar to those in people, Troutman says: a lump or bump, a wound that doesn’t heal, any kind of swelling, abnormal bleeding. But generally, a pet owner should keep an eye out for what Troutman calls “the basics —changes in the normal functions of eating, drinking, peeing, pooping and sleeping —and contact their veterinarian if they have concerns. “Emotional state, such as being withdrawn and irritable, can be another sign,” she says. Both general veterinary practitioners and veterinary oncologists, as well as other specialists, treat cancer in cats and dogs. In general, veterinary practitioners work with veterinary oncologists to provide the diagnosis and the follow-up care for the pet during treatment, which may include blood work and imaging (such as x-rays or ultrasound examinations) to monitor the animal’s progress. What is the prognosis with each treatment? What are the side effects of each treatment and how will they affect my pet’s quality of life? How long will I need to treat my pet? What is the cost of each treatment? How many visits back to the veterinarian are needed? Pet owners who want to investigate clinical trials for their animal can use the Veterinary Cancer Society’s searchable database at http://www.vetcancertrials.org/. Reprinted with permission of FDA Consumer Health Information. This article appears on FDA’s Consumer Updates page, which features the latest on all FDA-regulated products. Click here for more information.